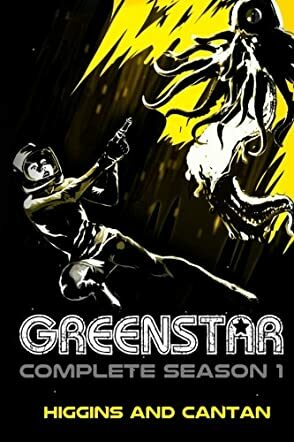 Greenstar Complete Season 1: The Space Opera (A Josie Stein Comedy) by Dave Higgins and Simon Cantan is a comedy sci-fi that centers on Josephine ‘Josie’ Stein, who wakes up a thousand years in the future and is immediately elected captain of the U.F.S. Greenstar, a recycled spaceship on a mission to stop the Kalmari, a homicidal race of aliens who have set their sights on Earth. Narrated in a fast paced episodic format, the humor is infectious and guaranteed to make readers laugh. It does remind me of Douglas Adams’ The Hitchhiker's Guide to the Galaxy. There were times when I wished that the pace would slow down a bit, so I could leisurely soak up all the witty remarks of the characters. Topik, who is hell bent on destroying the human species, is my favorite character. I actually rooted for him more than the heroine. All in all, kudos to Higgins and Cantan. They have created a fun series here. I look forward to reading the next installment.